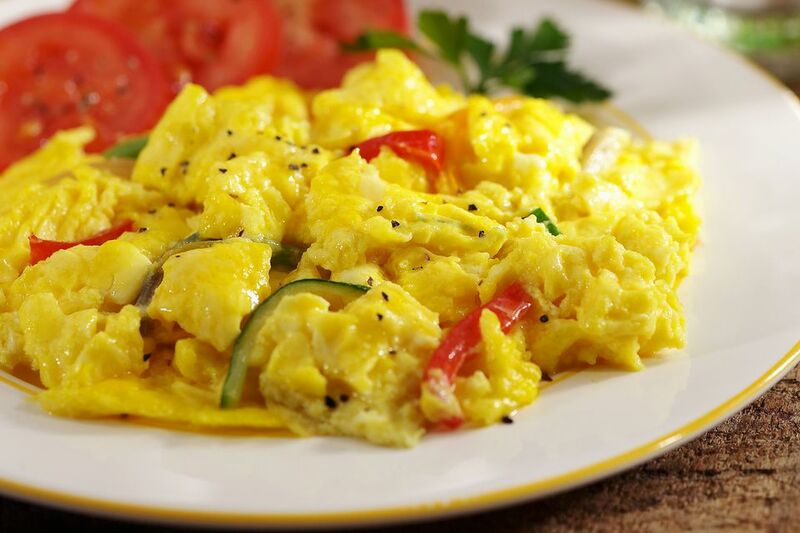 These quick and easy scrambled eggs are made special with chopped tomato and green onions. Melt butter in a skillet over medium-low heat until butter is foamy; pour in egg mixture. As mixture begins to set on bottom and sides of skillet, lift and fold over with a spatula. Cook until eggs are almost set; fold in tomato and green onion.